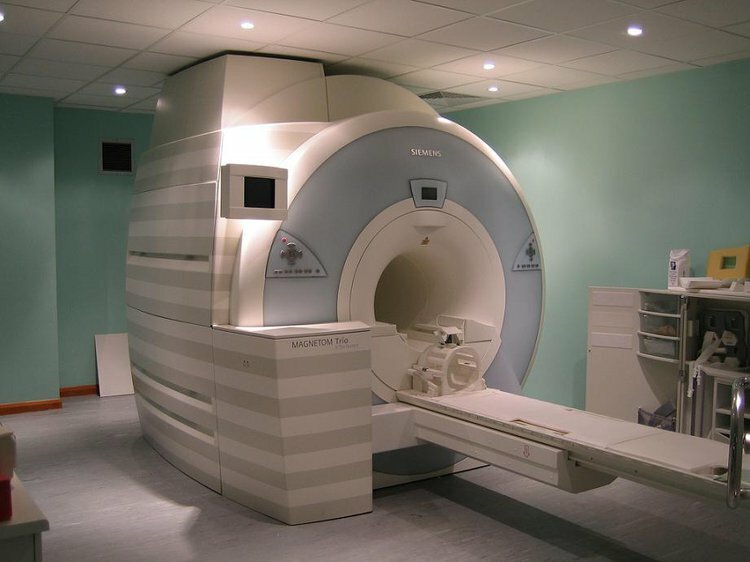 The Magnetic Resonance Imaging (MRI) scan of the Musculoskeletal System is a procedure to examine and evaluate the musculoskeletal system for various conditions, such as herniated disks, degenerative bone disorders, spinal cord injures, and developmental abnormalities of the bones and soft tissues. Musculoskeletal MRI procedure may involve any part of the body, depending upon the reason for investigation. Why is the Magnetic Resonance Imaging (MRI) scan of the Musculoskeletal System radiology procedure Performed? There have been no recent advances in the field of MRI of Musculoskeletal System procedure. What is the Cost of performing the Magnetic Resonance Imaging (MRI) scan of the Musculoskeletal System radiology procedure? The cost of a Musculoskeletal MRI procedure depends on a variety of factors, such as the type of your health insurance, annual deductibles, co-pay requirements, out-of-network and in-network of your healthcare providers and healthcare facilities. How does the Magnetic Resonance Imaging (MRI) scan of the Musculoskeletal System radiology procedure work? How is the Magnetic Resonance Imaging (MRI) scan of the Musculoskeletal System radiology procedure Performed? An MRI of Musculoskeletal System is performed either as an outpatient or inpatient procedure, at a hospital. The MRI of Musculoskeletal System usually takes about 30-60 minutes. A radiologist interprets the results of the MRI of Musculoskeletal System and informs the primary care physician. MRI provides more detailed and clear images of the soft tissues than any other imaging modalities such as CT scan or X-ray. What are the Limitations of the Magnetic Resonance Imaging (MRI) scan of the Musculoskeletal System radiology procedure? What is a MRI - Musculoskeletal System procedure? What is to be expected during the Magnetic Resonance Imaging (MRI) scan of the Musculoskeletal System radiology procedure? The Magnetic Resonance Imaging (MRI)- musculoskeletal is a painless procedure. Anesthesia is rarely used during the MRI of Musculoskeletal System procedure. Since the procedure is a minimally invasive procedure, no blood is lost during the procedure. What are the possible Risks and Complications during the Magnetic Resonance Imaging (MRI) scan of the Musculoskeletal System radiology procedure? What Post-Operative Care is needed at the Healthcare Facility after the Magnetic Resonance Imaging (MRI) scan of the Musculoskeletal System radiology procedure? No specific post-operative care is needed at healthcare facility after the MRI of Musculoskeletal System. What is to be expected after the Magnetic Resonance Imaging (MRI) scan of the Musculoskeletal System radiology procedure? Generally, no complications or side effects are observed after a Magnetic Resonance Imaging of Musculoskeletal System procedure. What Post-Operative Care is needed at Home after the Magnetic Resonance Imaging (MRI) scan of the Musculoskeletal System radiology procedure? No specific post-operative care is needed at home after the MRI of Musculoskeletal System procedure. The patient needs no recovery time after the Musculoskeletal MRI scan. The MRI of Musculoskeletal System does not involve the removal of any body tissue. Who will you receive a Bill from, after the Magnetic Resonance Imaging (MRI) scan of the Musculoskeletal System radiology procedure? The patient is advised to inquire and confirm the type of billing, before the Magnetic Resonance Imaging (MRI) of Musculoskeletal System procedure is performed.